Khun Aoa "What's that in your pants?" Ahh, our annual pilgrimage to Chiang Mai with the Singapore Five-O. There were 13 of us this year - Chris, Stephen, Ron, Jamie, John, Gerald, Jack, Ernie, Wayne, Robin, Kelvin and Dennis. 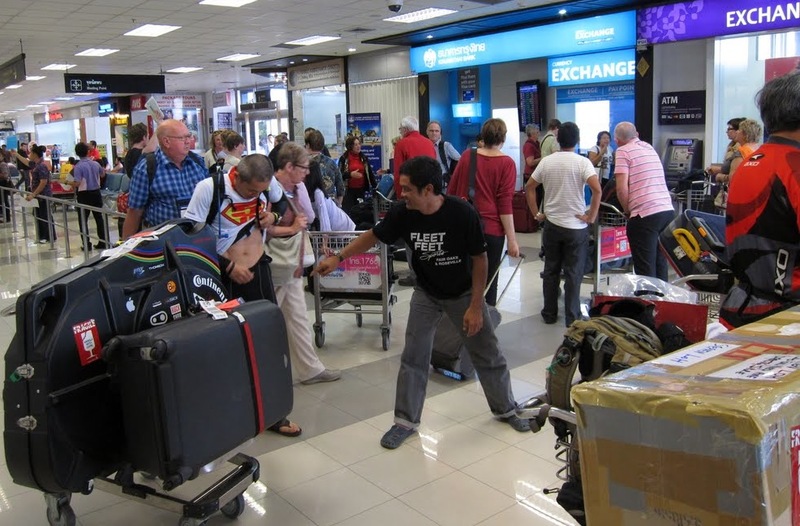 As usual, we were greeted by Khun Aoa, Bond and his merry men from Mountain Designs at the airport. 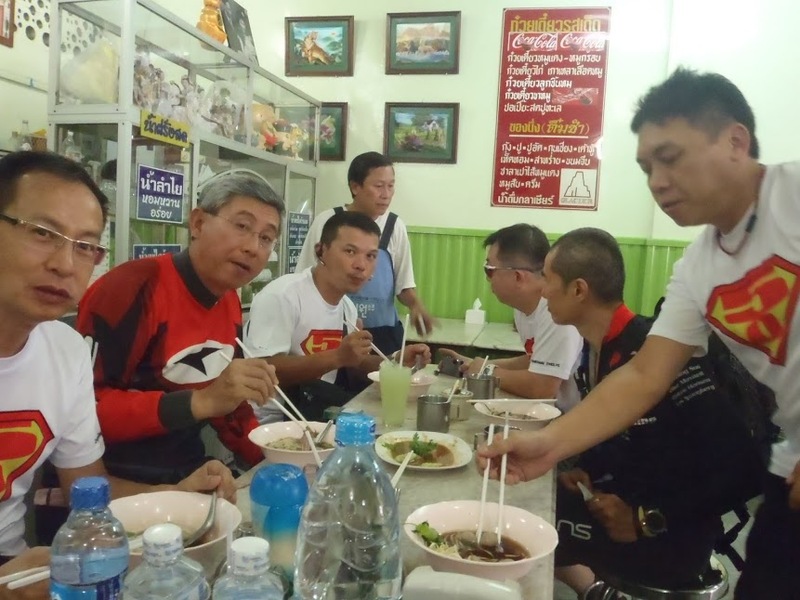 We headed straight to Doi Suthep for our first down hill ride, but not before stopping at the beef noodle shop opposite Chiang Mai University. I don't know what it is about travel and Thailand, but my appetite always seemed to be up a couple of notches. 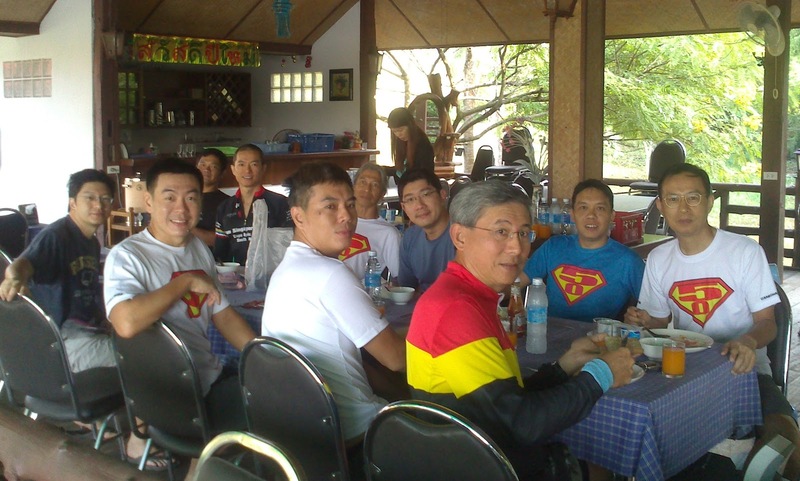 So two bowls of tasty mixed beef noodles later, we drove up to the trail head at Doi Pui and quickly assembled our bikes. After a couple lengthy warranty claim years, I was reunited with my 150 mm Commencal Meta 55 Carbon shod with new Maxxis Crossmarks LUST 2.1 (rear) and High Roller LUST 2.35 (front) tyres. 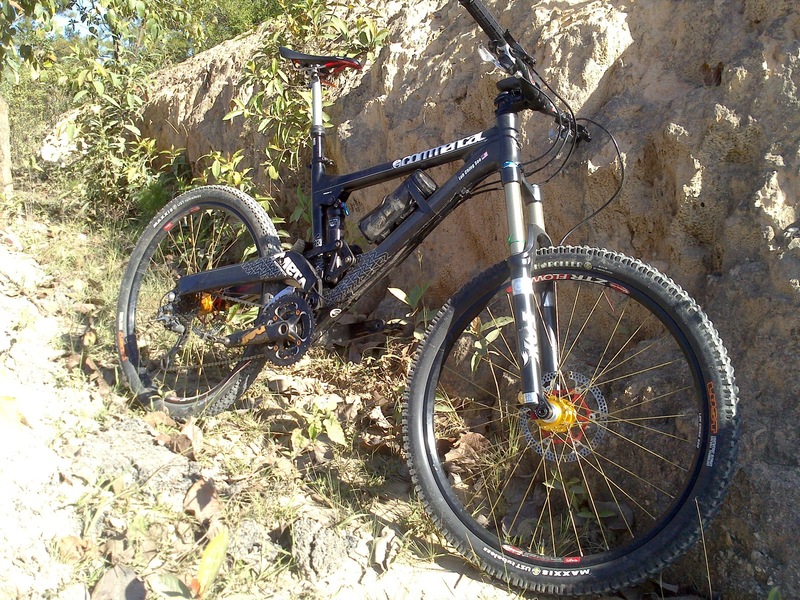 The bike was sharp but oh my, did I need some time to get used to the 26 inch wheels and more relaxed head angles which made the bike more responsive but twitchy. The KS i950 adjustable seat post was not working properly, with an annoying two inch vertical play every time I sit down. Also, I wished it go down further especially during the steeper sections. After settling down and readjusting the settings along the way, I started enjoying the rest of the ride. 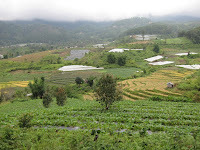 We took the van up for the the second run near a Hmong village. 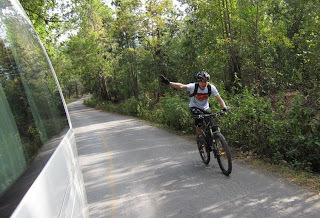 This was the classic and my favourite Doi Suthep down hill trail - steep, rocky and super technical. It sure gave me a rush and a sense of accomplishment after hanging on for dear life. The long and fast ride gave rise to arm pump and brake finger fatigue, compounded by less and less finger leverage as the brake levers moved further away from the hand grips which I presumed was a result of the brake fluid heating and expanding. There were a few casualties. Jamie hugged a tree and got rewarded with a nice souvenir on his chin, Robin got entangled in a barb wire fence and John walked away with a higher right cheekbone after falling off a couple of times. We ended the day with a nice dinner at our favourite restaurant at the Chiang Mai market place with the fabled Five-O tradition of "creme of sum yung gai", followed by a foot massage. The crew picked me first from our base at People Place Hotel in Chiang Mai and I started solo from half way up Doi Ithanon, the highest mountain in Chiang Mai. The climbs were steep, hot and slow. So slow that flies and mosquitoes buzzed around incessantly for most of the morning, very, very annoying. The temperature in the morning was 30 °C but by the time I reached the top it was 20 °C. This coupled with a wet jersey made the down hill rides really cold. After a hard morning's ride, I always looked forward to the simple but delicious packed lunch that we lug in our packs. On the menu today was braised chicken and rice. I had fun chasing "X" who was marking the trail on his motorbike. He was faster on the up hills whilst I caught up on the downs. 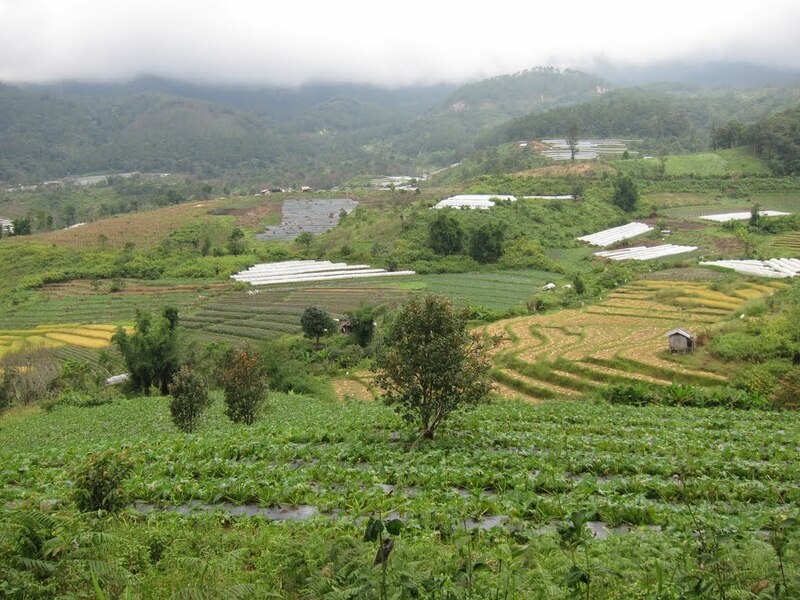 We ended the day at the quaint Mae Win Resort, managed by two charming sisters. Dinner was a healthy home cooked mixed vegetables and Tom Yam noodle soup. I got my two hour Thai massage by a rather elderly man. He had a robust style to the extent of being painful but it was so effective in loosening the knots and muscle tension. It was a long but satisfying ride for me today. 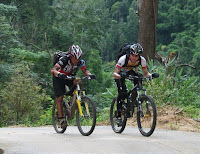 I departed first with a 10 km climb on tarmac and rendezvoused with the team at the trail head and then set off together into the forest. There were more climbs, mainly on fire roads. As it was a Sunday, the trails were busier than usual with many dirt bikers and 4 x 4s. I almost collided with a dirt biker as he was powering up a steep slope on the same line I was riding down. I was in close proximity with "X" who carried a few bottled water on his motor bike, and so water was not an issue. However, the rest were not so lucky as they ran out of water early on. The bottles that were left along the way went missing, and some even resorted from drinking from the streams. 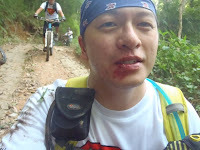 The final descent was not as flowy as I had expected, mainly because of the severe erosion and thick bamboo forests. Some of the ruts were 3 - 4 feet deep which I think were a result of the 4 x 4's tyres over the years. One thing about Chiang Mai are the friendly locals, especially in the villages. Everyone smiles at you and life seems to be going at a slow and calm pace. One guy another offered me water, another invited me to his home for coffee. 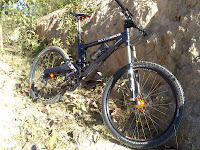 My ride ended at a temple and I washed my bike, freshened up and pottered around. The last of the dehydrated riders arrived 3 hours later. 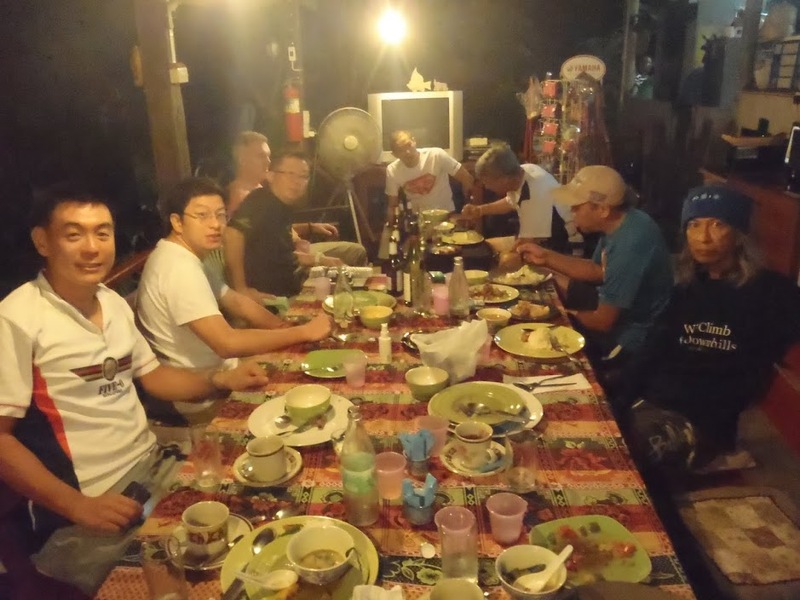 We arrived back in Chiang Mai after dark and I was starving. So after a quick shower I ended up with two bowls of noodles, fresh fruits and corn on the cob. I was so full that even the foot massage was not enjoyable. Note to self : control your munchies! As usual, the van picked me up first. It had rained heavily the night before and today's ride was a muddy and uneventful affair. The trail was mainly fire roads and I had to be careful as there were many slippery mossy patches. Today's ride was the longest so far - 81 km and 2,000 m climb. 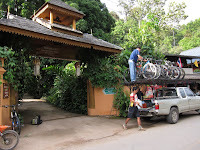 We ended at our new accommodation for the night at Amdoi Resort, a remote and peaceful place. Again, I finished the day with another painful but therapeutic massage. I started from the resort early, first on 10 km flat tarmac and then 1,100 m up 20 km to meet with "X" before the turn into the forest. 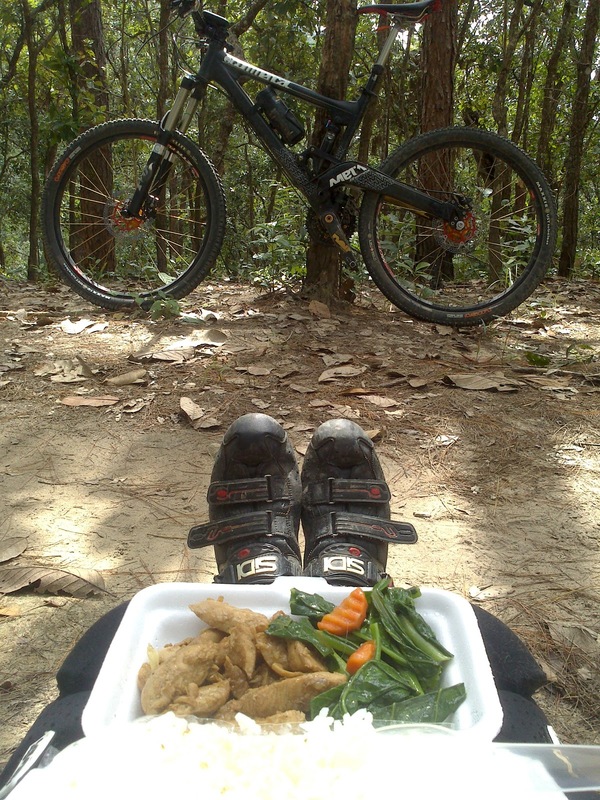 I stopped to rest, had some mandarins and chocolate, topped up the CamelBak and then rode again. 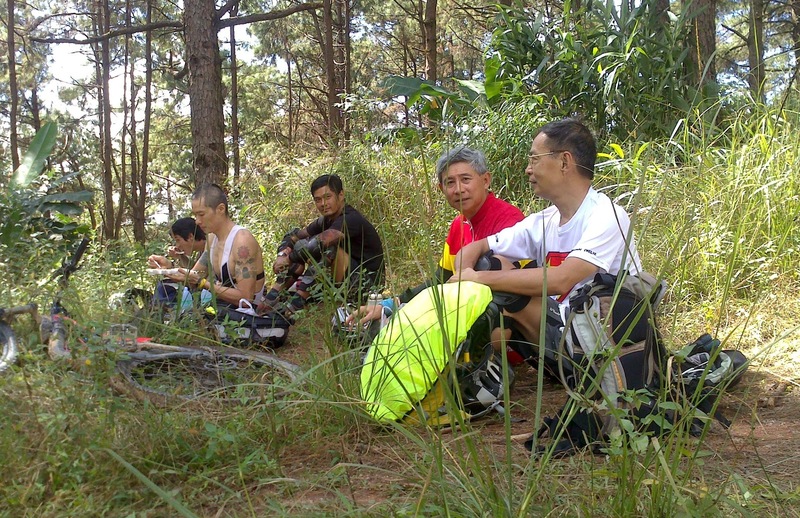 I caught up with the team just in time for lunch and banter, then rode down hill together all the way down. We concluded our ride in a temple, washed our bikes and drove back to Chiang Mai tired but with happy memories. We celebrated our wonderful trip in a Teow Cheow restaurant - sumptuous food, beer and wine and most important of all, wonderful friends. The total trip distance for me - 300 km and 8,000 m climb. Pictures courtesy of Jamie Teo and Chris de Souza.